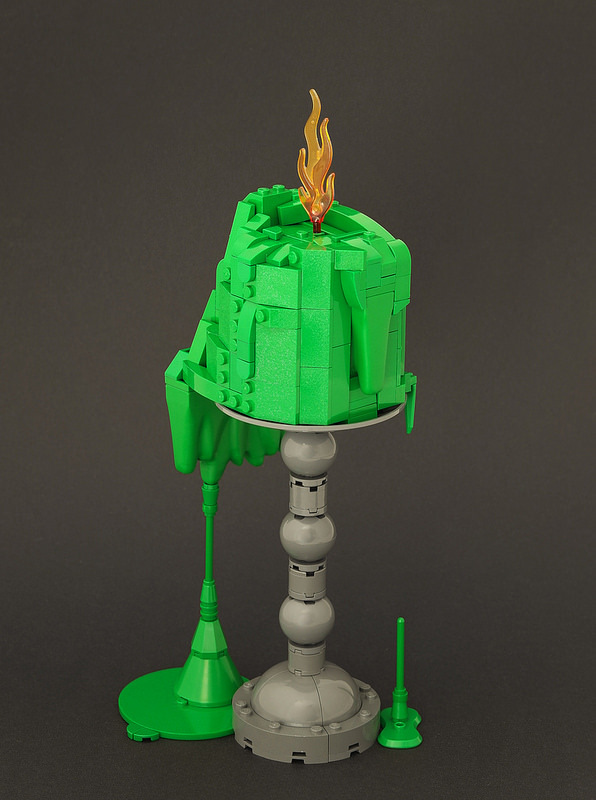 At first glance this melting LEGO candle by Jonas Kramm looks like the real thing. The goopy drips of wax cling together perfectly, and the candlestick has the just the right amount of detailing. Nevertheless, I can’t help but wonder if this candle would look better in white – but what else can an Iron Builder do when forced to work with bright green Duplo squiggle bricks? This reminds me of the Green Ranger Candle, as it slowly burns he loses his powers.